For the Japanese-language newspaper, see Hong Kong Post. General Post Office circa 1911. Merchants traded in Hong Kong on the two sides of Victoria Harbour as early as before the British possession in 1842. They complained about the absence of proper postal services and therefore the Postal Department was established. 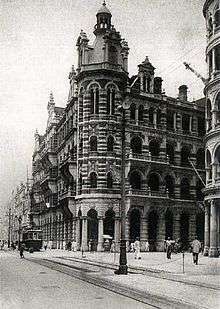 The department was founded on 28 August 1841, but the first post office (known as 書信館 at that time), situated near the current site of St. John's Cathedral, opened on 12 November 1841. At first, its right to operation belonged to the Royal Mail, until its transfer to the Postmaster General on 1 May 1860. On 8 December 1862, the Office issued the first set of Hong Kong postal stamps. Before this time, only British troops in Hong Kong could use British stamps, while other local residents did not have access to British stamps. Until the handover of Hong Kong to China in 1997, mail for British forces serving in the then-colony used the British Forces Post Office number, BFPO 1. In 1989, the Office introduced automated mail sorting and machines were installed in the General Post Office. There is no post code system in Hong Kong, although one has been under consideration since 2000. Since August 1995, the Office has operated as a Trading Fund and the full title of the head of the Office became "Postmaster General and general manager of the Post Office Trading Fund" (Chinese: 香港郵政署長兼郵政署營運基金總經理). During the colonial era, Hong Kong produced postage stamps simply bearing the name Hong Kong, printed alongside the likenesses (in profile) of the reigning monarchs of the United Kingdom, or royal symbols (for example, "EIIR"). Since Hong Kong's transfer of sovereignty to China in 1997, stamps issued have borne the name "Hong Kong, China". British Hong Kong postage stamps are no longer valid for prepayment of postage and cannot be repurchased by the Post Office. Hongkong Post operates 128 post offices throughout Hong Kong. As of 2007, 34 post offices existed on Hong Kong Island, 42 in Kowloon, 45 in the New Territories and 8 on the Outlying Islands. Two mobile post offices provide postal services in remote areas in the New Territories. Hong Kong imported post-boxes from the UK until the practice was discontinued in the 1980s. Before 1997, the post boxes were painted red, as in the United Kingdom, and were engraved with the royal cypher – for example, "EIIR" to represent Queen Elizabeth II. According to fans of Hong Kong's history, featuring the regal insignia on many of the George V and George VI post boxes in Hong Kong are unique as they are different in design from other British post boxes in the world. Since the transfer of sovereignty to China in 1997, the livery of the boxes became green, and were adorned with the new Hongkong Post logo. As of October 2015, there are 1,148 free-standing post-boxes in Hong Kong; only 59 colonial post boxes bearing the royal insignia were still in service. in late 2014 Hongkong Post reaffirmed its policy that the remaining 59 colonial-era post boxes would only be replaced if they were seriously damaged or no longer meet the demand of its customers. This department of government said in March 2015 that it was considering covering up the regal insignia on these post boxes on grounds that it was "not desirable to have postboxes that show various royal cyphers from different British reigns" and to "avoid confusion". Controversy ignited in September upon confirmation that royal cyphers would be covered up by fixing metal plates on all but seven of the historical post boxes. The decision was decried by the Conservancy Association, the Mailboxes Searching Team, and activists opposed to the push of pro-Beijing politicians to "de-colonialise" Hong Kong. According to legislator Claudia Mo of the Civic Party, senior HK Post officials she talked with affirmed that the order to obscure regal insignia on the 59 colonial post boxes came from the Commerce and Economic Development Bureau (CEDB), which Mo said pointed to a political and not administrative decision. In addition to making its income from traditional postal delivery, Hongkong Post also sells philatelic products, and is used by the Government and utility companies to accept payment from customers. Owing to the territory's conservative stamp-issuing policy, stamp collecting in Hong Kong is a popular hobby. Different types of attractively designed stamp products are also popular with stamp collectors around the world. In 2005 newspapers revealed the presence of pinhole cameras in Cheung Sha Wan Post Office, and this was perceived as a violation of people's privacy. Hongkong Post explained that the cameras were necessary for facilitating police investigations into several suspected theft cases. In March 2007, two postal staff lost three bags of mail, destined for Wan Chai and the Eastern District, in the management offices of Hongkong Post buildings. Although Hongkong Post eventually found one of the lost bags, 400 letters were reportedly lost. Winner of the 2005 "Hong Kong Awards for Industries – Productivity and Quality Award" for achievement in productivity enhancement and total quality management. Winner of the Caring Organisation Logo 2005/06 by the Hong Kong Council of Social Service. Winner of the Gold Level Certification in the Universal Postal Union EMS Cooperative Audit and Measurement Programme 2005. Winner of the Web Care Award 2005 – Gold Prize from Internet Professional Association. Guinness World Record holder for the largest stamp mosaic. The postage rates vary from one service to another and these can be found at the company's website. A postage label vending machine located at Tsim Sha Tsui Post Office. Postage labels are instantly-printed stamps with customisable or pre-set postage fees. It was discontinued service and then removed since summer 2008. ↑ "Hongkong Post – Contact Us". hongkongpost.com. ↑ "Postal Automation (Hong Kong)". NEC. Archived from the original on 16 April 2007. Retrieved 23 May 2007. ↑ "Postal coding system in Hong Kong". NEC. Retrieved 7 September 2007. 1 2 3 "Hongkong Post to cover royal cyphers on 59 historic post-boxes to 'avoid confusion'". Hong Kong Free Press. ↑ "Politically incorrect? HK to retain post boxes with royal crown". EJ Insight. ↑ "Hongkong Post may cover up British insignia on old mailboxes". EJ Insight. 1 2 "Commerce and Economic Dev. Bureau ordered Post Office to cover royal cyphers in March, lawmaker says". Hong Kong Free Press. ↑ "Hongkong Post Wins the 2005 Hong Kong Awards for Industries – Productivity and Quality Award". ↑ "Promoting A Strong Brand Identity". ↑ Hongkong Post. "Postage Rate". Retrieved 27 August 2009. 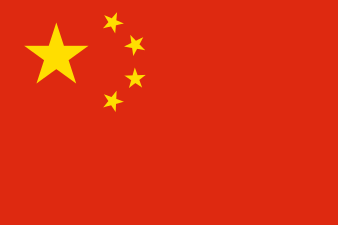 Wikimedia Commons has media related to Hongkong Post.